Quirpon was a prominent fishing community on the tip of the Great Northern Peninsula that has historic ties dating back to the 16th century migratory fishery. The French connection in the community name become known due to its resemblance to Le Kerpont near St. Malo, France. Locally, it is pronounced in the Anglicized form – “Karpoon”. I have visited Quirpon many times and had conversations over a cup of tea and sweets at Mabel and Bill Bartlett’s home. Bill, in my view is the local historian. The wealth of knowledge, photographs and interest he has in the history, culture and mystery that surrounds Quirpon and the surrounding island and communities, formerly known as L’anse au Bauld, L’anse au Pidgeon, Fortune, Grassy Cove and Little Quirpon is worth a conversation or two. There are many unanswered questions and a real need for an archaeology dig to answer questions about the French and Inuit battles, the Vikings and the Land of First Contact. Earl Pilgrim wrote a book about this region and the mystery called the Island of Demons. Bill’s local knowledge, photos, stories and local lore needs to be place on public display, maybe in the form of interpretation panels, murals or as an exhibit in the new Quirpon Community Hall, which recently undertook an impressive restoration project by community will and support. A special thank you to his daughter Marilyn, for never giving up on this cause and ensuring that Quirpon still has a public space for all residents, current and former, as well as visitors to come and enjoy. It was cooperation and support of everyone that helped see this piece of community infrastructure maintained. You are to be commended and I look forward to a time there in just over a week. 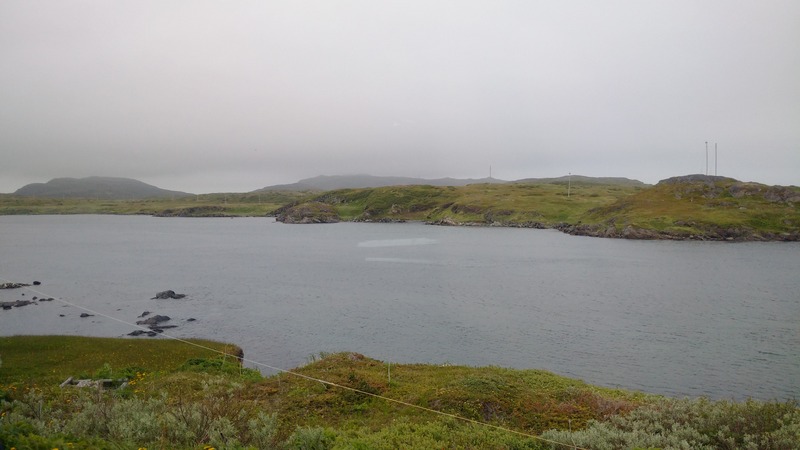 Quirpon is part of the Noddy Bay-Straitview-Hay Cove-L’Anse aux Meadows-Quirpon Come Home Year Celebration, which these five small communities see massive population growth for a week of celebration, as those with a connection to the communities come home. The 2011 census gives all five communities a total population of 289, which no doubt has declined in the past four years. It will be exciting to see the shift and influx of traffic, youth and activity in a community of just a few dozen. Despite a small population, Quirpon has opportunity. The oldest house in the community was built in 1892 which belonged to William Henry Pynn, is a designated Registered Heritage Structure due to its historic architectural and cultural values. A working French Oven and resting area is available to the public. Quirpon Lighthouse Inn, a four star accommodation at a light-keeper’s home built in 1922 where one can also experience kayaking, zodiac, iceberg & whale watching, boat tours and authentic rural Newfoundland and Labrador (http://www.linkumtours.com/wordpress/lighthouse-inns/quirpon-lighthouse-inn/). There is a photograph around every turn. 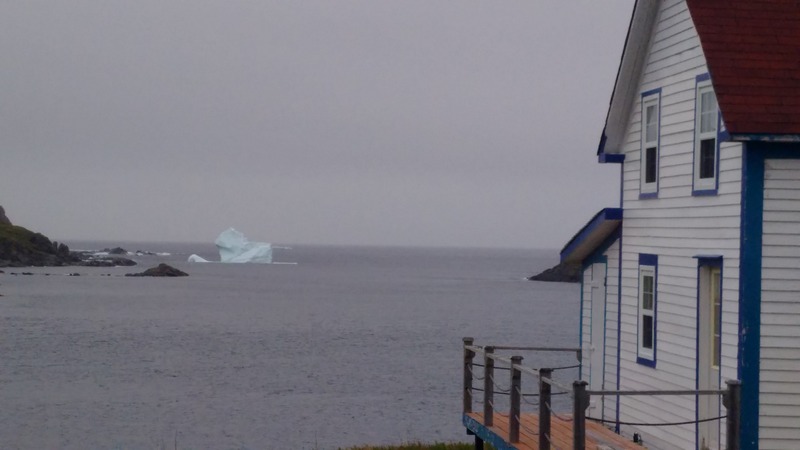 There is also prime iceberg viewing, a B&B being developed, local woodworkers and artists, the community hall, high speed Internet, vernacular architecture and amazing waterfront properties. I highly recommend adding Quirpon to your adventure on the Great Northern Peninsula and be sure to engage in dialogue with the local residents, you truly will be inspired. Posted on July 20, 2015, in Art, Business, Community Economic Development, French Shore, Heritage, History, Landscapes/Geography and tagged art, earl pilgrim, Fishery, folk art, Great Northern Peninsula, Iceberg, lighthouse, Newfoundland, quirpon, quirpon island inn, radio quirpon, Travel and Tourism, Viking. Bookmark the permalink. 4 Comments. What a wonderful blog! The writing is very good, the photos are terrific! It’s so cool to be able to read a blog from this part of Canada that I’ve always wanted to visit. Please keep up the very very good work! Thank you Margaret! A pleasure to get your feedback. I’ve written 580+ posts on various articles. You can search key words in the box. Hope you enjoy! I was once a resident of Quirpon, I now reside in Toronto. It was great to see this blog and read about the people I’ve known all my life. I look at the pictures and close my eyes to pretend I’m there again,,,,,,,soon! Great Blog about Quirpon. I grew up in Quirpon have lot’s of fond memories. Always something to do never got bored softball, socker, game hall, movies, snow tunnels, skating, dances, old fashion time no end on thing’s to do.